Speaker: Julie Haddrick: Continuing my journey, SAlt and modern; what is modern? Please note: Heart n Soul Patchwork has re-located from Port Vincent to 59 Main Street, Minlaton. Contact Michelle on 0407 713141. Open Tuesday 16th April with a grand opening sale of 25% off storewide for 2 weeks. 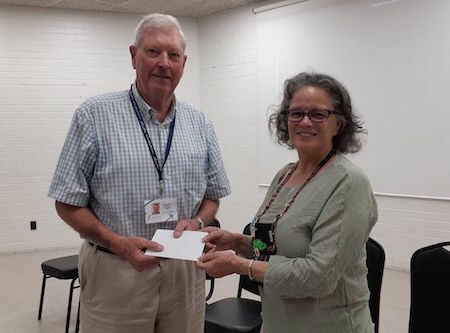 April 2019: With thanks to Otto and Bernina for the donation of a Bernina sewing machine, raffled at the recent Country Forum in Adelaide, $1,000 was raised for Angel Flight. When Anne Marie presented the cheque to John Evins an 'Earth Angel' (ie driver not pilot) at the Guild meeting, there was a suggestion from a member that we "pass the hat around". 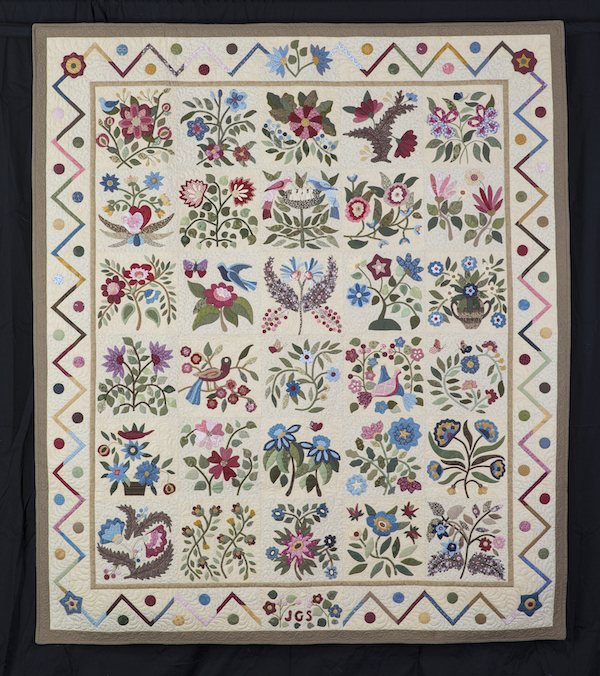 With good will and generosity, quilters who were present donated an additional $1,076 making a total of $2,076 for this worthy cause. March 2019: We celebrated our 35th Birthday with an overview of how far we've come in those years and how our founding members got things right when they put early plans into place. Thanks to Christine for the history presentation. 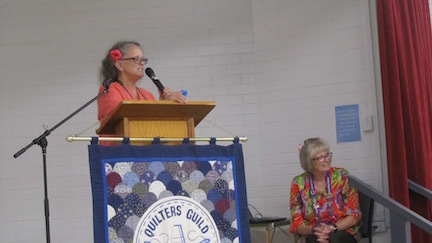 Thanks also to Pam Holland for sharing fabric and tales from her recent travels to Kenya. For everyone who attended from near and far to make the night special - a cupcake, to eat and one to save on your sewing machine, made by Anne Marie. 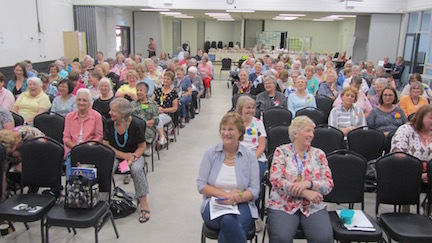 Wednesday 20 Feb, the sun was shining and we welcomed 154 people to the first daytime Guild Meeting for 2019. Pure Wheal gave a very interesting talk 'which colour do you hear? About Synesthesia. Thanks everyone for coming along to support this new initiative. Next time we'll know where to park! Some clever ladies even arrived by bus! Well done everyone. Remember that 1/2 price membership is now available for first time members. 2019 Festival of Quilts challenge theme : "Tropical Vibes"